Last thursday Jan van Roekel and I entered an empty freeway at 04h00 at night. The navigation said we would arrive in Meursault at 12h30. So we would have some time to have lunch and relax a bit before our first visit to Arnaud Ente. All went fine. And around two we sat at Ente's kitchen table to taste all his 2008s. What an impressive range. After the tasting we toured the vineyards. 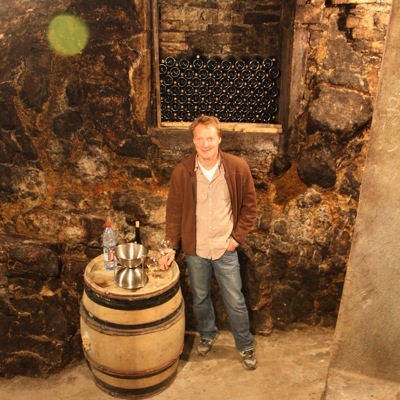 Next visit that day: our fellow Dutchman and Ente's almost neighbour Richard Bos from Domaine JanotsBos. 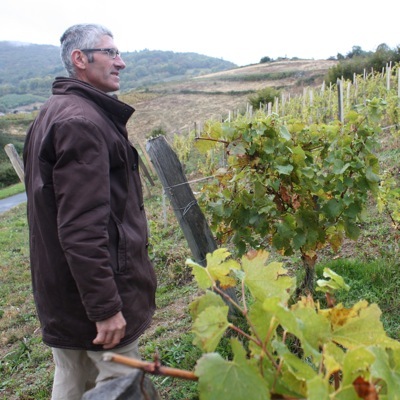 With his business partner Thierry Janots Richard vinifies grapes that are bought from several local growers. 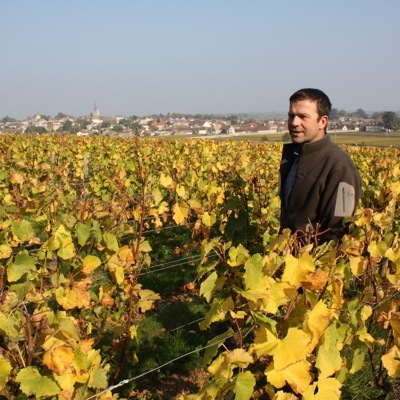 I was especially enthusiastic about the Santenay 1er cru and both Chassagnes (villages and 1er cru, all wines from 2008). In the evening we ate at Le comptoir des Tontons ,and had a very good pick with the rare (red) Monthelie 2007 from Jean-Marc Roulot. 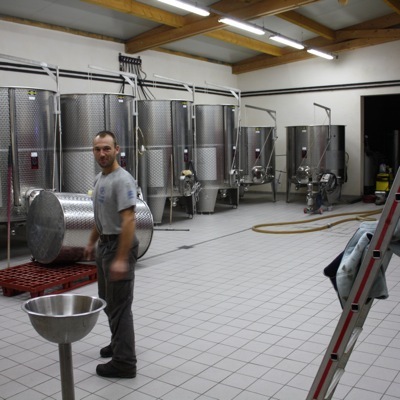 Friday we had a slow start, not bad, and at the end of the morning we visited Guillaume Tardy from Domaine Jean Tardy. 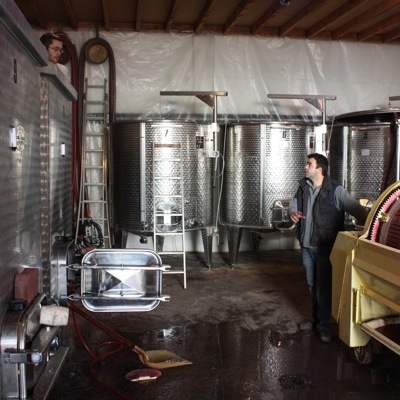 He was proud to show us his new stainless steel vats. 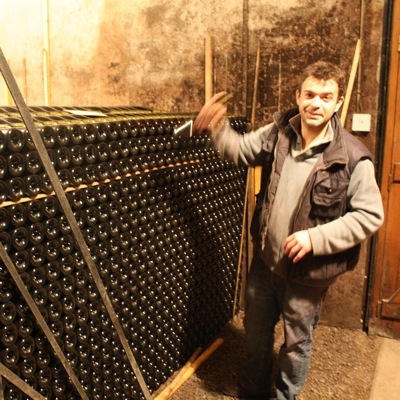 Guillaume presented us his 2009s from vat, what a lovely vintage! And we tasted some 2008s from bottle. On the picture Guillaume grabs a Fixin 2008 from a pile of bottles. We left with a loaded car. 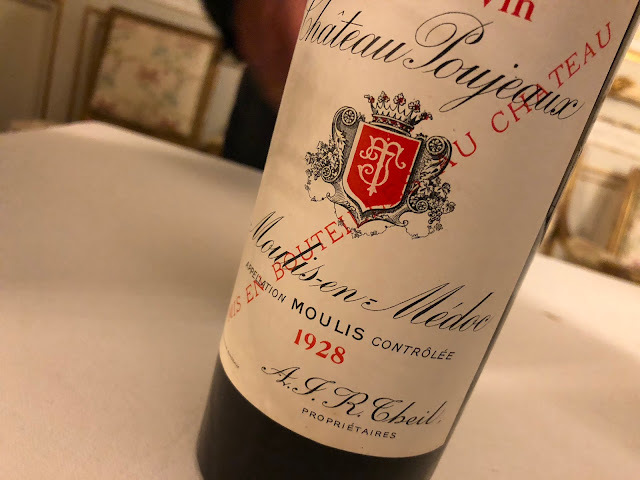 Had a good lunch with pied-de-cochon, bought some bottles for the private cellar (always some Roncevie from Arlaud and Monts-Luisants from Ponsot, the royal aligoté). I did not take any pictures when visiting David Clark. I must have been so impressed with his 2009s that I forgot. David's wines are hors classe. We ended the day with Aurélien Verdet. He let us taste an interesting new cuvée, the Bourgogne rouge. Sort of petit Vosne. I love good ordinary wines, true quality always shows on this level. That evening we went to Caves Madeleine. David Clark and a colleague joined us in this candy store of a restaurant. What a joy to dine there, every time again. Saturday we drove up to the Beaujolais. We tasted wines at the small artisanal Domaine des Côtes de la Molière. 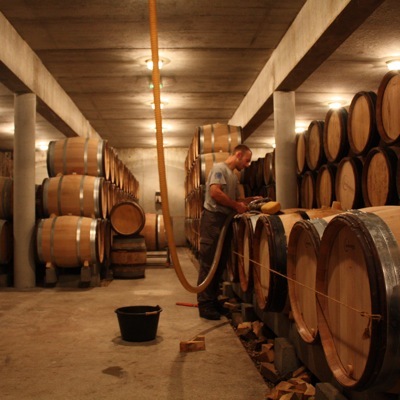 Bruno and Isabelle Perraud make wines without adding sulfur dioxide, and that's quite exceptional. Very pure wines but almost all was sold out. I'm glad I was able to buy their Chardonnay which I am drinking now. Next year more…! 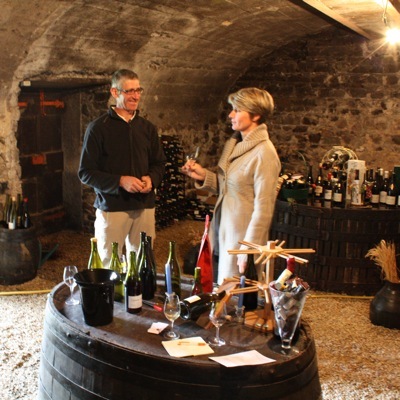 In the afternoon we went to a tasting in Fleurie with several producers, but all that we tasted didn't even come close to what the Perrauds had presented us, so we decided to drive back to Beaune. 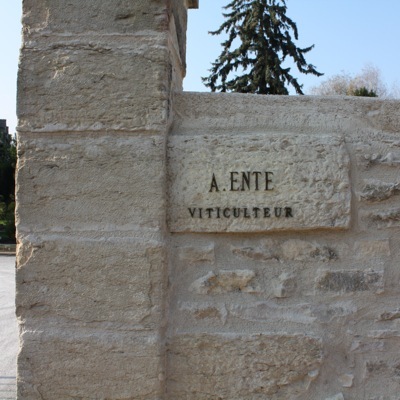 After an evening with a Tête-de-Veau and a very bad red Meursault (forgot the producer) we travelled to the town of Cumières in Champagne to pick up some Brut Natures from Georges Laval (organic since 1971!). After a short talk to the friendly Vincent Laval we headed back to Amsterdam. Altogether, it was a great long weekend again.